This is done with a T04BV trim, .63 a/r turbine housing, ATP ultimate wastegate, stage III turbine wheel on a Dodge 2.2 8 valves with a big valves head, boost from min 7psi at 3.5k creeping slowly to 12.5psi at 6.5k (by accidental design and no boost creep issue once min boost is turned up) . T04E 50 trim wheel would be a more efficient wheel which means it will make even more power at the same boost level and wider powerband. Top red line is boost. I mean, I say that I'd be good at 250-270, but who knows. The plan is to be able to daily drive this car so I don't want it to get so race car that it's unreliable or not driveable around town. Nothing is set in stone but I don't want something that doesn't make any boost until 5k. It's a f+t motor so it won't be a super dog off boost but I don't want an all or nothing set up. I daily drive my 8 valve with a efr 7670. You can make it as reliable as you want. But for your goals, I'd probably do a GT2860 or GT2871r. They're small and don't flow much air, but it sounds like it will do what you want. What engine management are you using? PM Harlard, he has a turbo that he needs to sell.... definitely would fit your goals. Perfect. 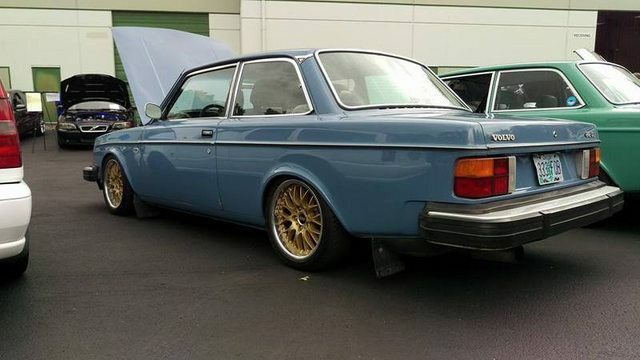 I'd look at Haralds turbo first. If you don't like that, I'd look at a gt28. If you don't like that, I'd get an efr 6258. I've been happy with a 60/63 T3. Cheap option, low tech. Might make it till the power goal. Mine with Cosworth turbine housing is running 200-220 hp at low ish boost. I'm living through this exact scenario right now. My car probably makes 250ish at 18 psi on a good day with the 19t. It's very quick given the 4.30 rear end and the lighter 142 chassis, but after a few months, it's not enough and I'm upgrading the turbo to a Borg Warner. ^yeah I think at the end of the day a 19t, while an easy "direct swap", is too small. Which bw turbo are you looking at? Didn't know Harald was selling his unit. That could be cool too. I didn't want to (openly) mention/suggest the... "budget" stuff as I've had insults lobbed my way in the past and I don't want your thread to turn into that. I got an s252 sx-e with a small .48 housing from AGP. Should spool pretty quick but get me to 300 whp. If for some reason it doesn't there are a bunch more turbine housing options. You should just order a bigger turbine housing now. I'll bet you get sick of the 0.48. I don't know. I do love the spool of the 19t. I expect you'll love some real flow even more. Been talking to Greg at go-autoworks and I think a t3/t4 50 trim is going to be the winner. They can put the wastegate on the exhaust housing so wont have to deal with a custom manifold. They can put the wastegate on the exhaust housing so wont have to deal with a custom manifold. if you go that route, make sure you get one of the better housings and not the old school 5 bolt housing. Alot of people run CheapO eBay t04e turbos with .63 exhaust housing. Should be good for 300 with supporting mods. I got mine for $180aud. He's got both 4 bolt and 5 bolt outlet T3 housings in stock. I think a 4 bolt with a .63AR should work fine. I'm shooting to have this whole thing together by the spring SE meet. Fingers crossed. I'm not going the chinabay choo choo boi turbo route. I just don't want to **** with some $200 turbo that may or may not work out of the box and is definitely not going to be good long term when a brand new turbo from garrett can be had for under $700. Last edited by Marvelous3; 09-24-2018 at 05:11 PM.. The 5 bolt housing should be OK as long as you don't use the internal gate portion. External wastegate is great and all but internal wastegate can work well. Had that. Worked ok with a t3/t4. Not so much with my last turbo.